Biodiversity has become a buzz word in the life of anyone interested in the environment. In the last decade, biodiversity has become particularly popular due to its linkage between people of all cultures, backgrounds, countries, and interests. Everyone talks about biodiversity, but in reality not many people know what it means or how it should actually be applied. 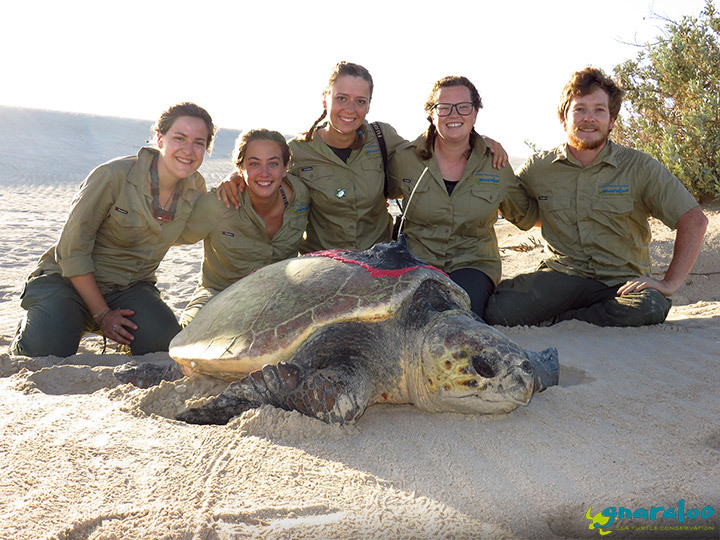 This Field Diary seeks to discover the ins and outs of biodiversity, why it is such an overarching concept, and how it relates to the mission of the Gnaraloo Turtle Conservation Program (GTCP). Biodiversity, is the combination of all species (animals, plants, microorganisms), their habitats (tropical rainforest, coral reef, desert) and the interaction between the two. More simply, it is the amount of organisms in one place at a specific time. It is not just the existence of biodiversity that has become a popular topic in science, but the apparent changes in biodiversity across many ecosystems in the last decade. When we talk about biodiversity, the first thing we determine is whether there is an abundance or a lack. Think of a tropical rainforest. You are standing still in the middle of the jungle, but all you can see is movement. Birds whiz by catching insects of every colour, leaves sway to the rhythm of the wind, your feet try to touch the ground but layers upon layers of underbrush and moss lie between you and the earth. That is biodiversity, and an abundance of it. Unfortunately, we do not often share the successes of biodiversity but instead we discuss the decline of biodiversity in our environment today. The good news is, there is incentive for everyone to care about this pressing issue, which is what makes it a such a universal concept. Take the ocean for example. Everyone loves the ocean, maybe not all for the same reason, but most people have a place in their hearts for a good day at the beach. The reality is, fishermen want good fishing, adventure seekers want good waves, scientists want a good reef because it decreases carbon levels in the atmosphere, tourists want a view and a lagoon swim, but each of us want a healthy ocean all the same. Coral Reefs contain the highest amount of biodiversity of any other ecosystem, which is why when we talk about biodiversity it is always the ocean that gets brought up first. So why does having a large amount of species and interactions between species make a healthier environment? The answer to this question is so lengthy, it is impossible to name all the benefits. There are a few, however, that really delve into the depth and breadth of biodiversity itself: disease tolerance, natural cycles, and competition. Disease tolerance and adaptability to natural disasters are two of the most important characteristics as far as furthering your genetics are concerned. Simply, the more likely you are to survive disaster, the longer you stay alive to produce more offspring. When an ecosystem is exposed to many species, it is considered balanced because it has been introduced to large amounts of varying microorganisms. However, if an area only has a few species and a new one is introduced, it is less likely to adapt to the changing circumstances. Additionally, if an ecosystem contains many different species, nutrient cycling among all species becomes complex but more efficient. Take nitrogen for example. Nitrogen is commonly found as ammonia in animal waste products. These products must be cycled through different bacteria processes, excreted as nitrogen gas, absorbed by plants, and then consumed by animals again to complete the cycle. This cycle is essential to life but without a large biodiverse ecosystem, cycles like these can be cut short. Lastly, animals depend on one another for survival, not just as predator/prey relationships but in competition with one another. Since Darwin coined the term “survival of the fittest” we have studied which individuals have the greatest likelihood to mate and pass on their genetics to their offspring. However, in order to be “the fittest,” animals must beat out a series of competitors, both within their same species as well as in conjunction with other animals that live in the same habitat. In other words, the best animals (the ones that get to mate) rely on competition to make them the best. Think of it as the difference between running a race by yourself and running with opponents. Running alone won’t make you stronger, faster, or better suited for your environment, it will just get you from one place to another. Now we know that having a biodiverse ecosystem means it is healthy, so why do we try so hard to protect one species over another? It is true that each species individually is important, but some species (often called indicator species) are particularly important because they only exist in regions of the world that have high areas of biodiversity. In other words, they indicate healthy environments because they cannot be found anywhere else. 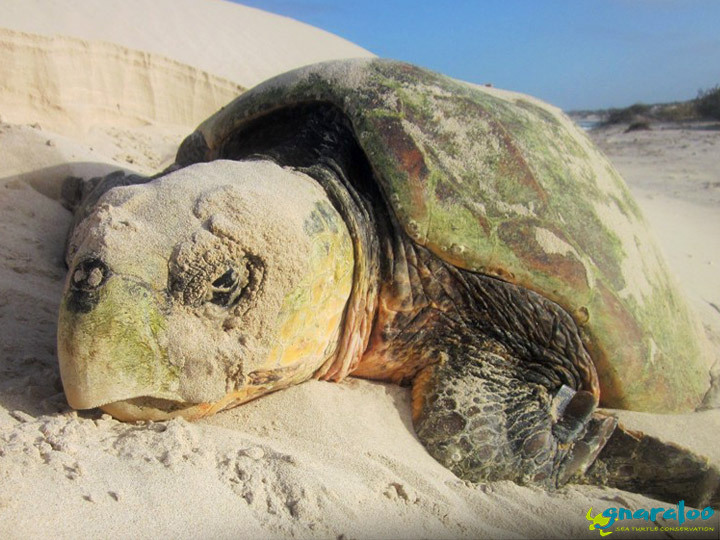 Sea turtles are an important indicator species for biodiverse ocean habitats with healthy sea grass beds, coral reefs, and coastal beaches suitable for nesting. 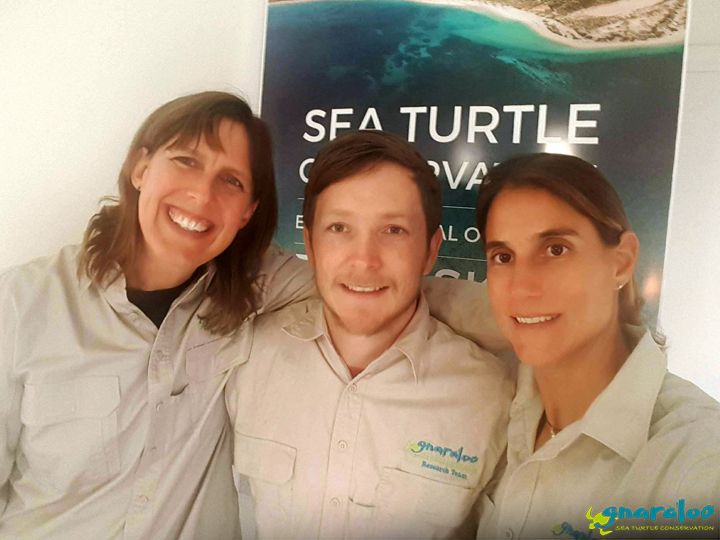 While giving talks and presentations with the GTCP, people often ask how conserving sea turtles leads to a healthier, more biodiverse ocean. Each species of sea turtle plays a different role in biodiversity but by far the most fascinating is the leatherback. Leatherback sea turtles migrate from their nesting beaches in the Gulf of Mexico all the way to the Arctic to feed. This means that one turtle is actively acquiring nutrients from jellyfish in the Arctic and depositing these nutrients both through waste along the migratory path, as well as in eggs after nesting and hatching, on tropical beaches thousands of kilometres away. 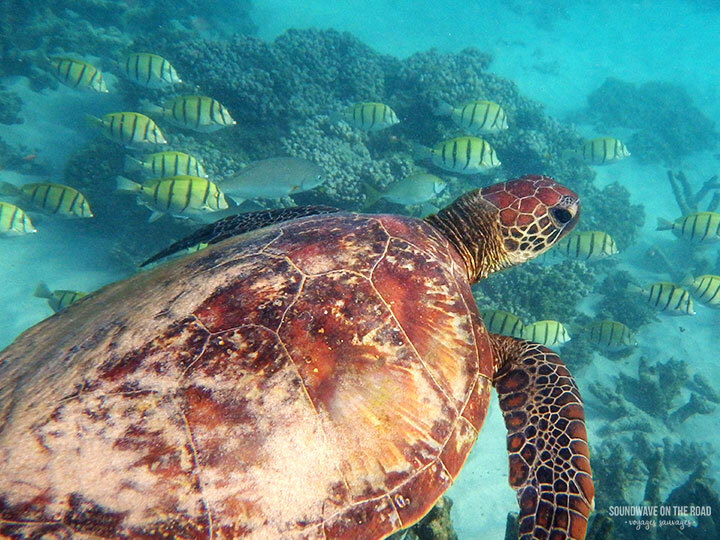 These turtles are also incredibly important for the balance of the marine food web. Leatherbacks consume about 450 pounds of jellyfish in one day, which is roughly the size of an adult lion. If leatherbacks were no longer able to consume such large amounts of jellyfish, it is very possible there would be a severe increase in jellyfish leading to poor fish stocks, as well as unfortunate beach encounters. When talking about biodiversity, the range of conversation is limitless. From nutrient cycling to long term migratory patterns, biodiversity can be found in every aspect of the environment. While it seems like a complex concept, biodiversity can easily be translated through mutual interests as broad as someone’s love for the ocean. Using indicator species, we can determine areas of high biodiversity in order to better identify areas of global significance, and further, to protect these areas through education and conservation action. 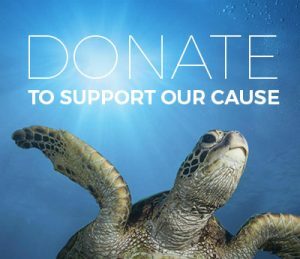 – Why Healthy Oceans Need Sea Turtles: The importance of sea turtles to marine ecosystems. Oceana. Wilson, E.G et. al.